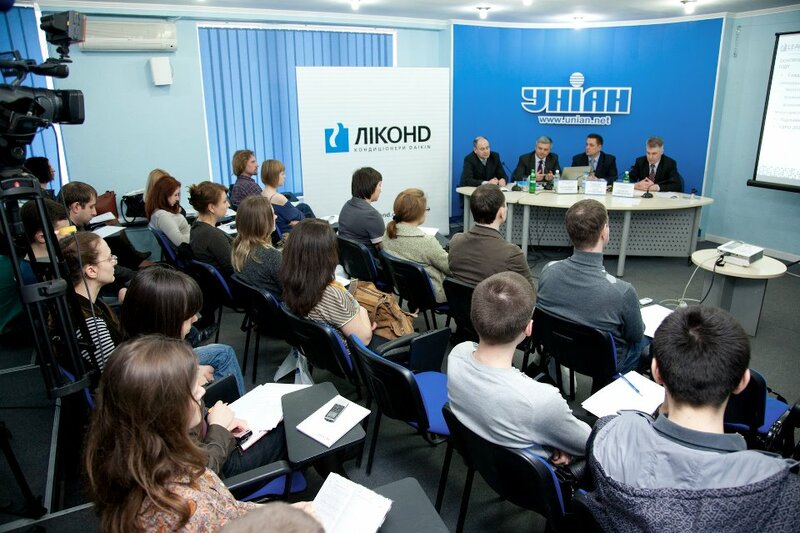 On the 11 of April 2012 in the information agency UNIAN Publicity Creating held a press conference “Ukrainian market of air conditioning: forecasts and prospects for 2012” for LEACOND Company, an authorized trading partner of Daikin corp. (Japan) and HOVAL Company (Liechtenstein) in Ukraine. During the press conference experts had answered the key questions on the current situation on the Ukrainian conditioning market, gave forecasts and market prospects for 2012 and told about main tendencies of the world and the European conditioning markets. They also provided information about pricing of the domestic air conditioning equipment in the current year, novelties of global manufactures, discussed the issues of HVAC equipment energy efficiency. The complexity of forecasting the situation on the Ukrainian climate market was been pointed out by the specialists of LEACOND as one of the main features of 2102. Such tendency will result into difficulties in management planning in conditioning business leading to the profitability decrease. The team of Publicity had Creating worked out the concept and the location of the event, secured the presence of more than 30 profile media (including 6 TV channels), organized interviews with the client’s specialists, rendered current consulting, maintains of the project, organized video and photo shoot, prepared all necessary text materials. According to Valeriy Kureiko, the CEO of Publicity Creating the event has been held in the format of “press day”: the preparation to the press conference started at 11:00 AM in UNIAN and after the event was over the teams of 3 TV channels – “BUSINESS”, UBR and UTR were send to LEACOND’s office to make exclusive interviews with employees and company’s management.